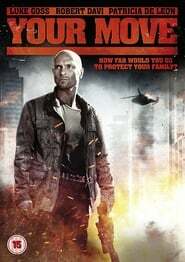 The film, which marks the directorial debut of singer-turned-actor Luke Goss, is currently in post-production. Also starring Goss, alongside Robert Davi and Patricia De Leon, it tells the story of a man who must go to extreme lengths to discover what happened to his kidnapped wife and daughter. Soda intends to launch the film to coincide with the reunion concert tour of Bros., the 1980s’ pop band Luke performed in with his brother Matt. The reunion was original intended as a one-off concert at London’s O2 Arena on August 19, marking the anniversary of the band’s last concert in 1989. However, when that show sold out within a minute of going on sale the tour was expanded to include six further dates at the O2 and at other venues around the U.K. in August.